Lean Thinking: Caffé Macaroni and Italian Design? Caffé Macaroni and Italian Design? Last month we enjoyed a family vacation in one of our favorite cities - San Francisco. I took the family for dinner and a stroll in North Beach, San Fran’s Little Italy. We lingered in City Light’s Books, Lawrence Ferlinghetti’s legendary bookstore, and had a drink at the iconic Sentinel building, home of Francis Coppola’s Zoetrope Studios. 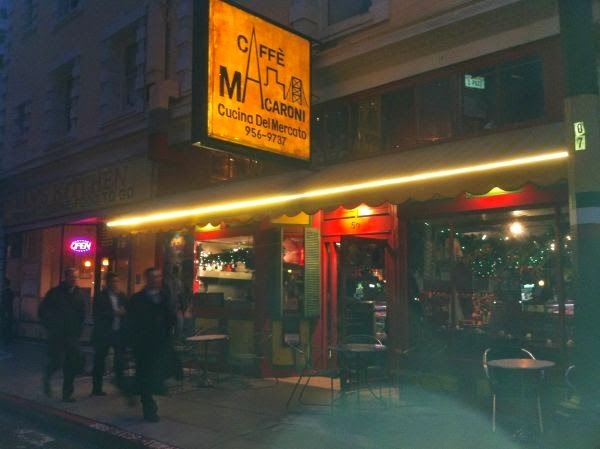 Just down the street, we found Caffe Macaroni, a joint right out of a Fellini movie, or an Abbott & Costello sketch. Sure enough, our waiter, Giovanni, was an oddball, who looked & sounded like Father Guido Sarducci, the old SNL character. He passed out the menu, then told us nothing on the menu du jour was available! “Why then, are you giving it to us?” I offered. “So what are we going to have?” my wife put in. Giovanni assumed a noble pose, as if to say, you can count on me! Over the next hour, he and his minions brought a series of unnamed courses, each more delicious than the last. The restaurant was enveloped in a genial wackiness. A trapeze troupe, a bear in a tutu, a unicyclist juggling soccer balls – none would have seemed out of place. And he was right! The whole experience was quirky, creative and marvelous. Could Caffe Macaroni replicate it? I doubt it - nor would they want to! Each dining experience is unique, just as each Ferrari is unique. As a result, he continued, Italy has a wealth of splendid small business, but a dearth of large scale enterprises. I don’t know, and defer to our Italian colleagues here. In any event, it’s an experience not to be missed.